Some of the most valuable possessions of the Turks and Caicos islands are the pristine white sandy beaches, which in total cover 230 miles and are complemented with crystal clear turquoise waters. The islands are relatively flat, but vary from sand dunes to lush green vegetation. 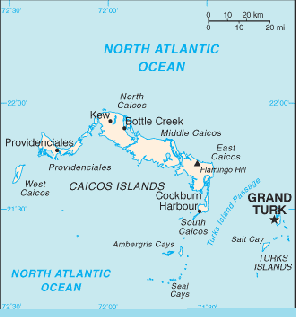 There are eight inhabited islands: Salt Cay, Grand Turk, South Caicos, Middle Caicos, North Caicos, Providenciales, Parrot Cay and Pine Cay. East Caicos and West Caicos along with several other fascinating cays are uninhabited. People on the islands, known as "Belongers", are known for their friendly spirit, which helps ensure this is a destination that helps people de-stress, feel comfortable and truly relax. The island of Providenciales is the main tourist island, where you will find international style hotels, each one with its own unique set up and surroundings. In the restaurants, native dishes such as fresh fish and peas and rice are served along with international cuisine with tropical twists. More casual, rustic and intimate accommodation can be found on the other islands and smaller cays. 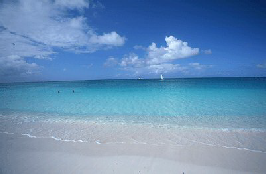 Information and photograph courtesy of the Turks and Caicos Tourist Board. 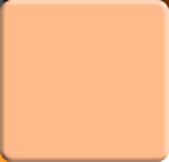 For more detail on the islands, that’s a great place to start. an ideal location for romance, family vacations, ecotourism and adventure seekers.